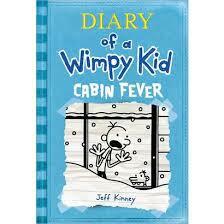 Greg is stuck in his house cause of a blizzard and many crazy things go on. One of things that will probably make you giggle is that there is a doll that his mom had and its a spy for santa claus to find out if your naughty or not. Greg’s brother keeps on telling the doll things that were not true about him. This is a part but I don’t want to tell you that much. Read the rest of the book to see the best of the best. If you like funny books and realistic fiction, you’ll like this book! This book’s genre is realistic fiction. This book’s story line is funny. This book left me feeling giggly. On a scale of 1-5, I give this book a 5. This review was written and submitted by 5th grader Ashwin.